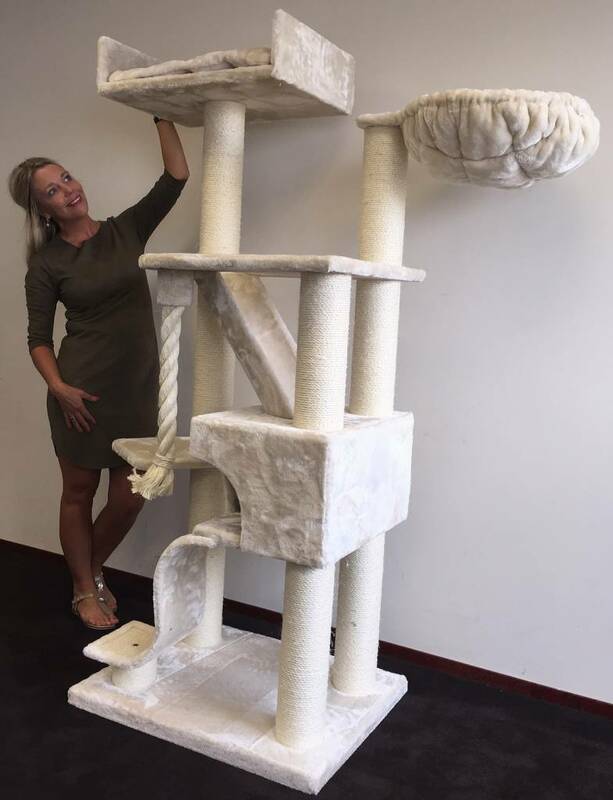 Total 45KG Quality Cat Tree. Very steady construction. Height 180 cm. Hammock : 45 cmØ and tested till 23KG (Has a extra thick metal ring. Strongest in the market). Base stand 74 x 58 x 4 cm. High Quality heavy 600gr pluche. 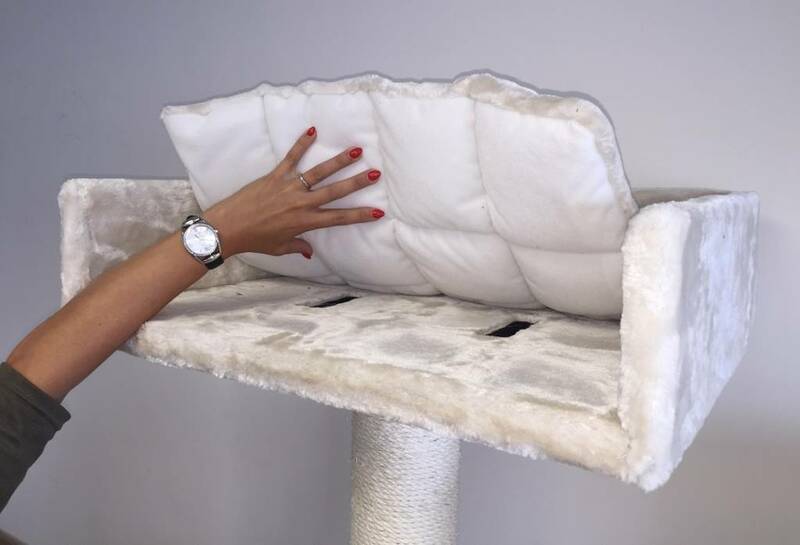 Large lying place on top 60x43x15 (Pillow of 5cm thick included). 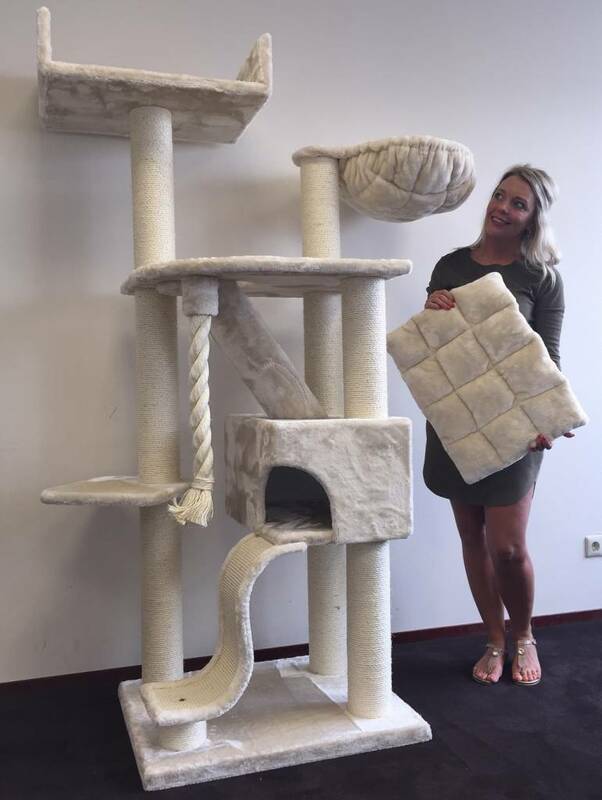 Cat Tree Kilimandjaro de Luxe Cream is a very strong RHRQuality Cat Tree with 12cmØ sisal posts from high Quality and all a cat can wish for. Very steady and 180 cm height with 2 high relax places. With a Large lying place of 60x43x15 (Pillow of 5cm thick included) and 1 turnable hammock with 45cmØ lying place. This hanging mat is tested till 23 KG so strongest in the market. 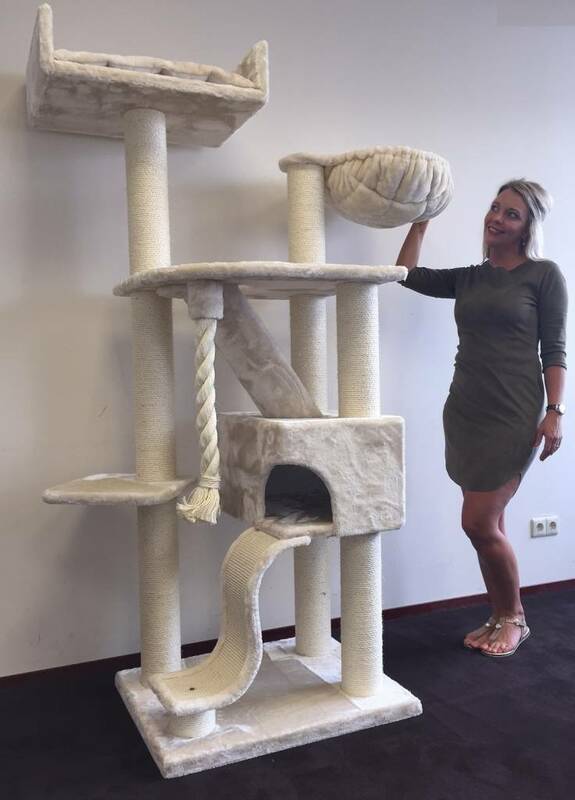 With a large base plate (74x58x4 cm) and below a curved stairs with sisalcarpet to scratch on. 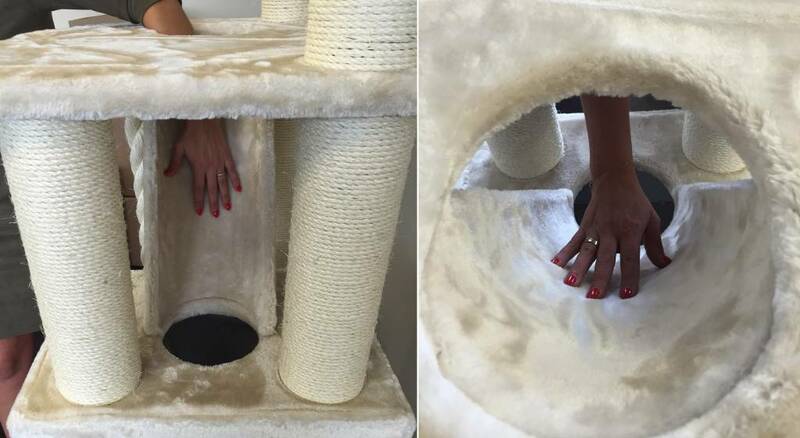 The play house has a large entrance on the front en through the hole on top of the play house your cat can easy go through a pipe the the top floor. 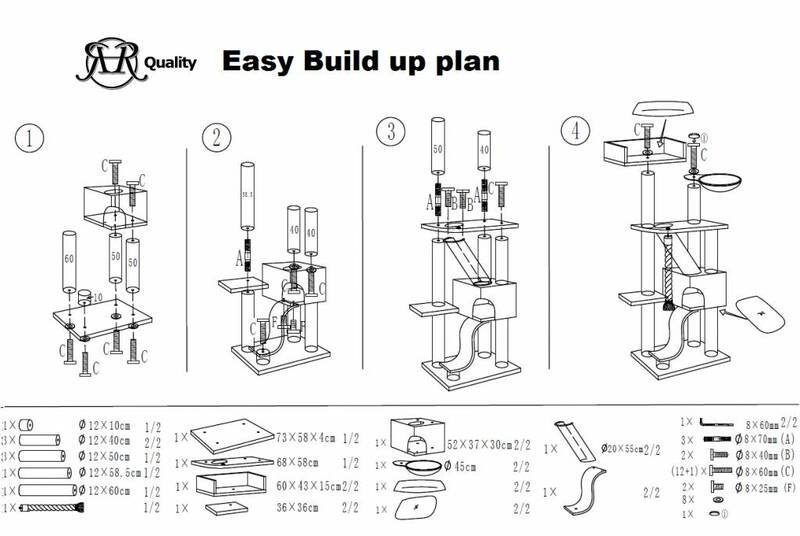 Also it is easy to reach the top using the large step on the left. 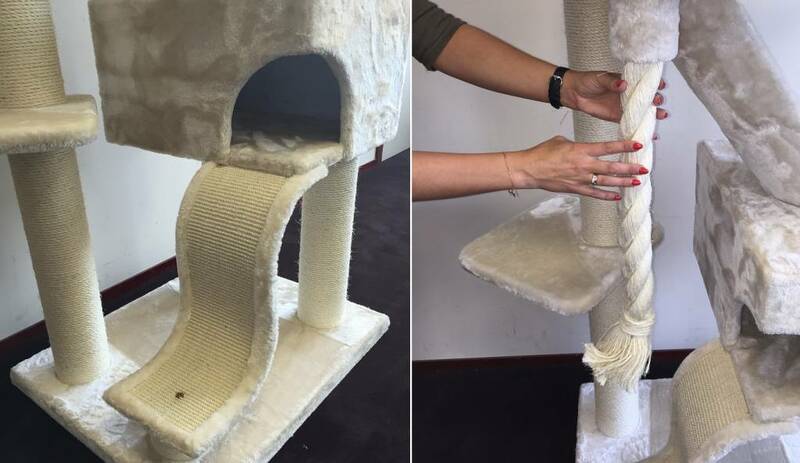 There is a nice play rope also. 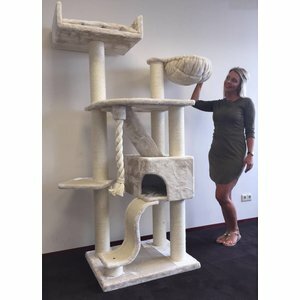 All used sisal posts are 12cmØ so very strong and makes this cat tree stands as a house with 45KG. Base Plate: 74 x 58 and 4 cm thick. 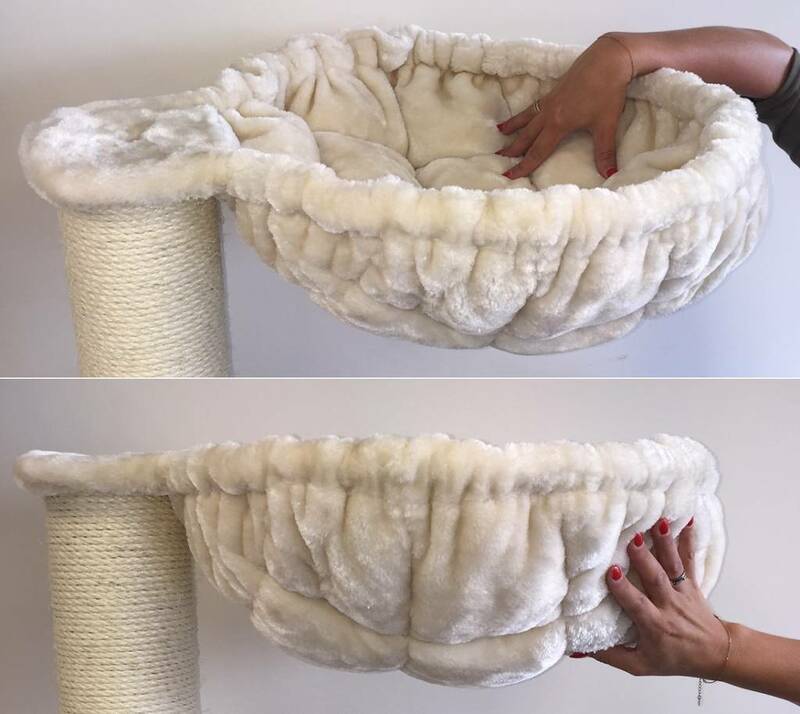 This Cat Tree is a high quality product. Designed in Holland and made with the best materials.